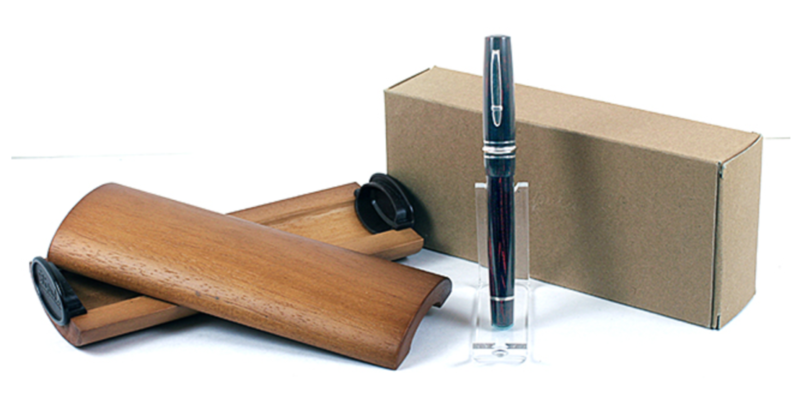 This is a 1998 Stipula Novecento LE #1014 PIF in Woodgrain Ebonite (hard rubber). Sterling Silver trim. 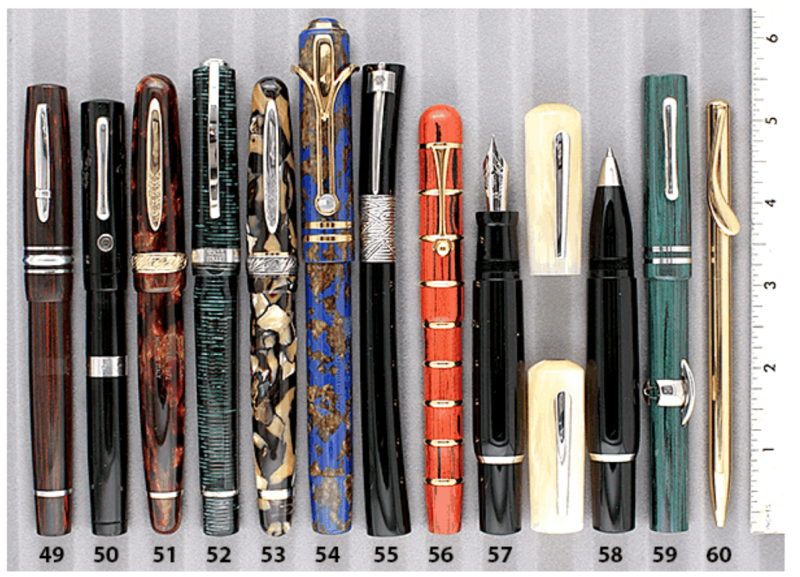 Broad nib. New-old-stock. Mint in original box with papers, outer box and original sales receipt (Joon – $420). UPDATE: SOLD. Item #49 in Catalog #85.